SMOK Vape Pen 22 Vape kit a pen-style kit with built-in battery of 1650mah capacity and 2ml e-juice capacity. With 0.25ohm dual coil, vape pen 22 kit can still deliver dense cloud and pure taste. 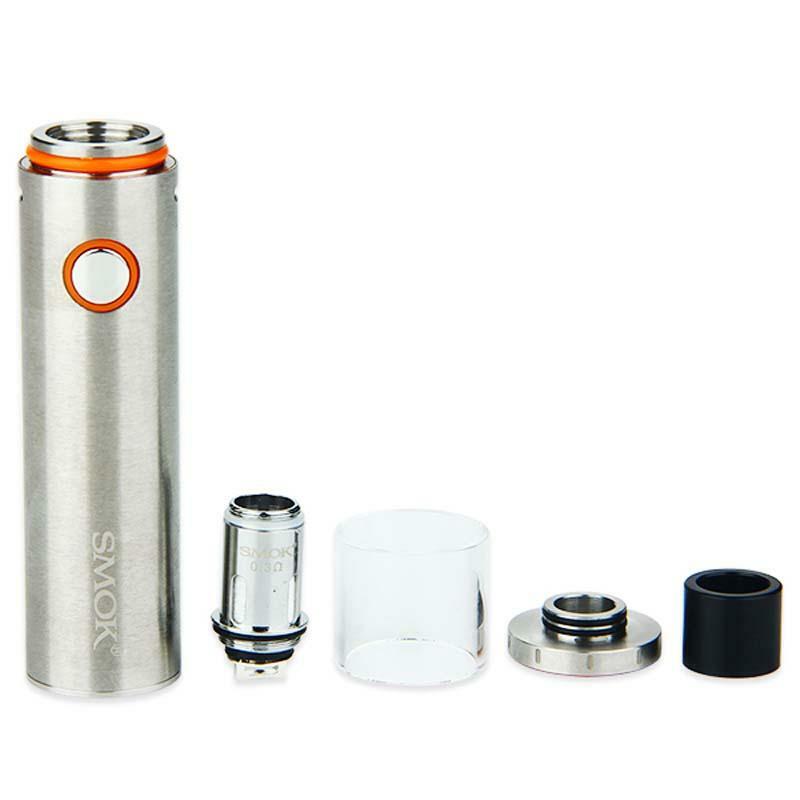 SMOK Vape Pen 22 Vape kit is featuring pen-style kit with built-in battery of 1650mah capacity and 2ml e-juice capacity. The name vape pen derives from the diameter of 22mm. Like its name, vape pen as a simple electronic cigarette, and is simple to use. However, with 0.25ohm dual coil, vape pen 22 kit can still deliver dense cloud and pure taste. A highly-recommended starter kit, ideal for beginners. 3 months for Vape Pen 22. I am a newbie and I hope the vape pen could help me quit smoking. Very easy to use. I bought it as a gift for my mother. The price is good and it's simple for beginners to use. The shipping is fast and the starter kit is very nice.